As we trot our way to the Lunar New Year, it’s finally time for the prosperous pig to take centre stage. According to ancient Chinese folklore, it was this adorable critter that ended up coming in last during the amazing race which ultimately decided which animals would make it into the Zodiac calendar. 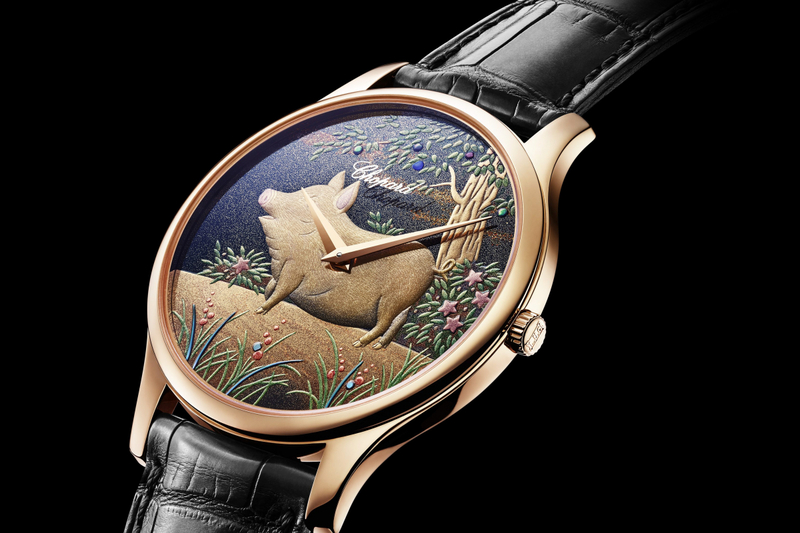 Powered by the ultra-thin Calibre 96.17-L. LUC self-winding movement, the dial of Chopard’s newest zodiac timepiece displays a jovial scene of a golden pig appearing against a multicoloured forest background created using a traditional Japanese lacquering technique known as urushi. Available in a limited edition 18K rose gold case, additional gorgeous details to watch out for include gilded Dauphine-type hours and minutes hands. Adorable and charming all at once, this wonderful tribute to this year’s zodiac animal was created by renowned enamelling expert Anita Porchet. 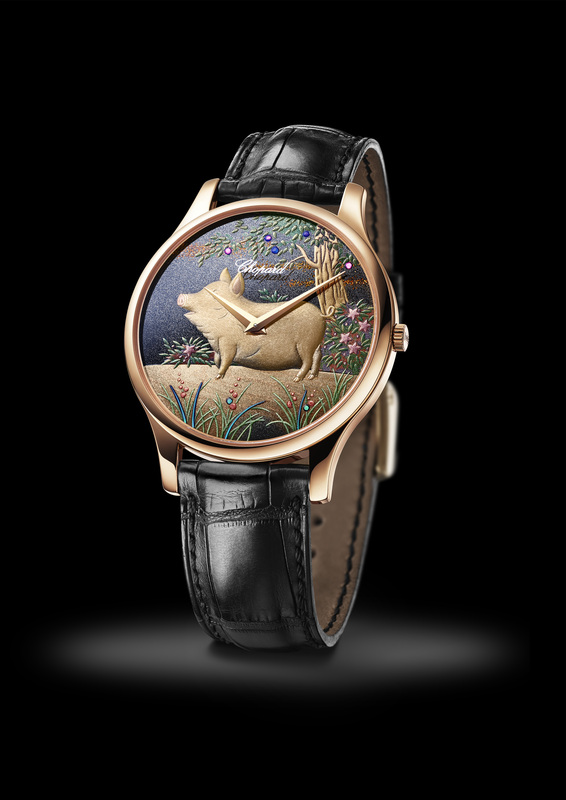 Paired with a white gold case and 78 brilliant-cut diamonds on the bezel, the details of the dial are brought to life via a painstaking process which involves transferring the image on to surface using gold thread to create miniature partitions known as cloisons meant to contain the delicate enamel pigments. The dial is then fired multiple times at over 800°C in the kiln before being varnished to perfection. Handcrafted using precious pearl marquetry, the intricate dial of this commemorative timepiece represents as a wonderful homage of China’s rich cultural traditions and symbols. 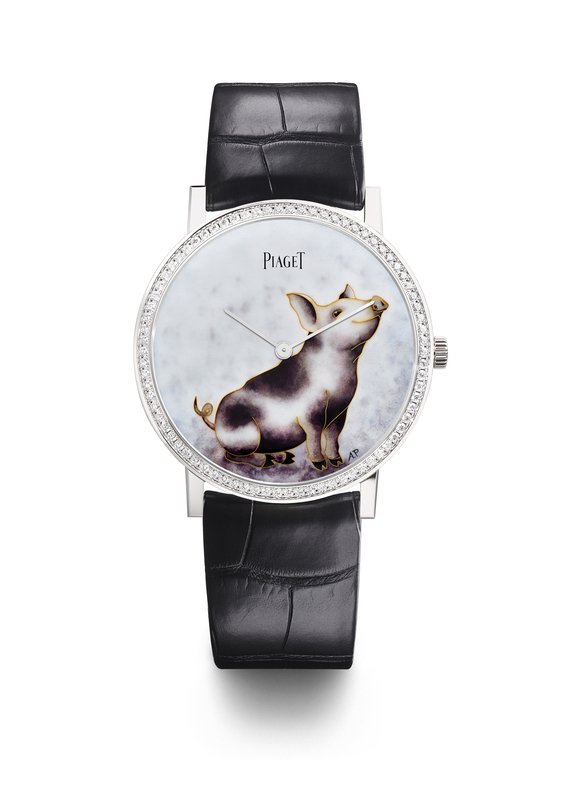 Featuring a bedazzling case emblazoned with 57 brilliant-cut diamonds, the elaborate pig in 18K rose gold is decorated with feminine magnolia branches topped with a bright white diamond which marks its eye; while the vivid red dial serving as its backdrop features various layers of mother-of-pearl in red and pink. Limited to 7 pieces, each timepiece is presented in a beautiful red lacquered box decorated with magnolias. 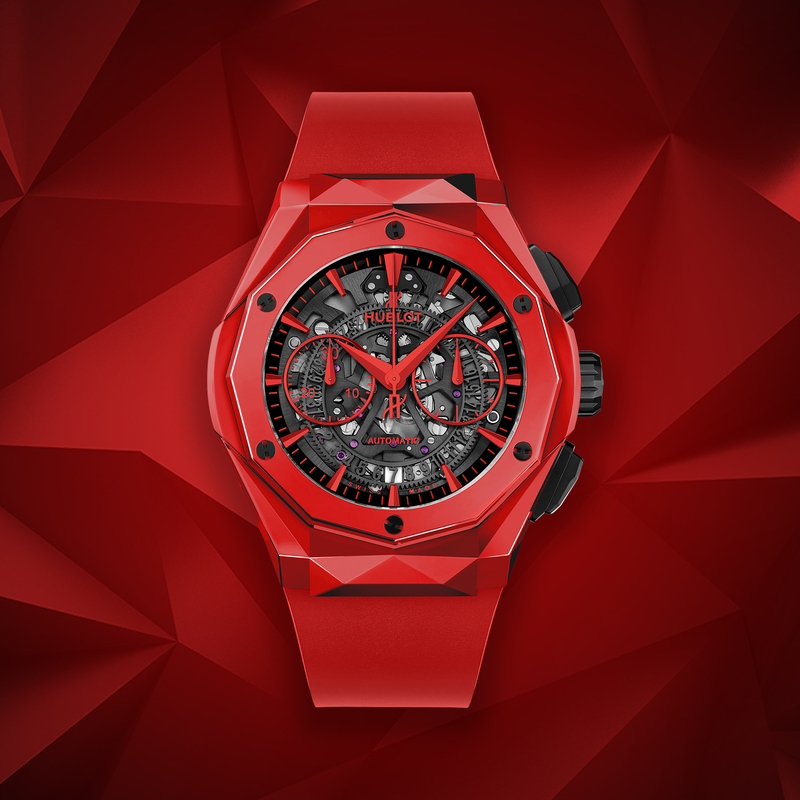 From the world’s top-selling French contemporary artist and Swiss luxury watchmaker Hublot comes a new rendition of the coveted ceramic timepiece, this time in a vibrant shade of bold red which is considered in Chinese culture to be the colour of prosperity and happiness. Similar to its predecessors, the distinctive 45mm case boasts 12 facets reminiscent of the trademark angles displayed in Orlinski’s famous sculptures. A limited edition of 200 pieces, the watch is powered by a mesmerising HUB1155 self-winding skeleton chronograph movement which can be fully appreciated via the sapphire case back. 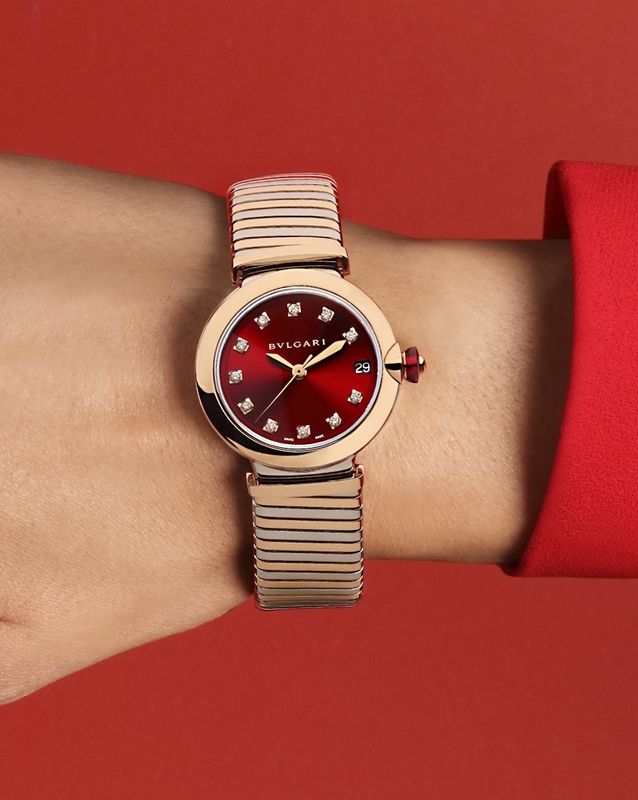 Ideal for adding a dash of glamour and contrast to any outfit, this special edition of the alluring watch pairs classic 18K rose gold with durable stainless steel. 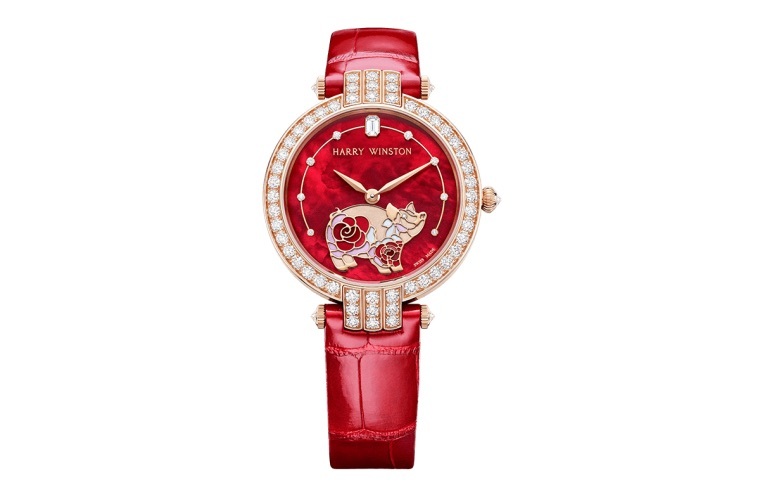 Released in conjunction with the upcoming Lunar New Year celebrations, captivating features of this elegant timepiece include dazzling brilliant-cut diamond hour-markers set against a red lacquered dial, a date window at 3 o’clock, and a rose gold crown topped with a distinctive pink cabochon-cut stone and a bedazzling diamond.